Alex Vanegas, the 62-year-old Nicaraguan marathon runner who was jailed for nearly four months for supporting the protests against president Daniel Ortega, fled to Costa Rica shortly after leaving prison, his son said Wednesday. “He escaped this week and is currently in Costa Rica. He had issues with one of his testicles due to the beatings that he received in prison,” his son, Byron Vanegas, who refused to provide any more details for security reasons, told AFP. He also refused to reveal whether his father had traveled to Costa Rica in order to obtain medical assistance or rather to seek refuge in the neighboring country. Vanegas, who was not formally charged during his imprisonment, was one of 100 protestors released on Feb. 27, before the recommencement of talks between the government and the opposition. 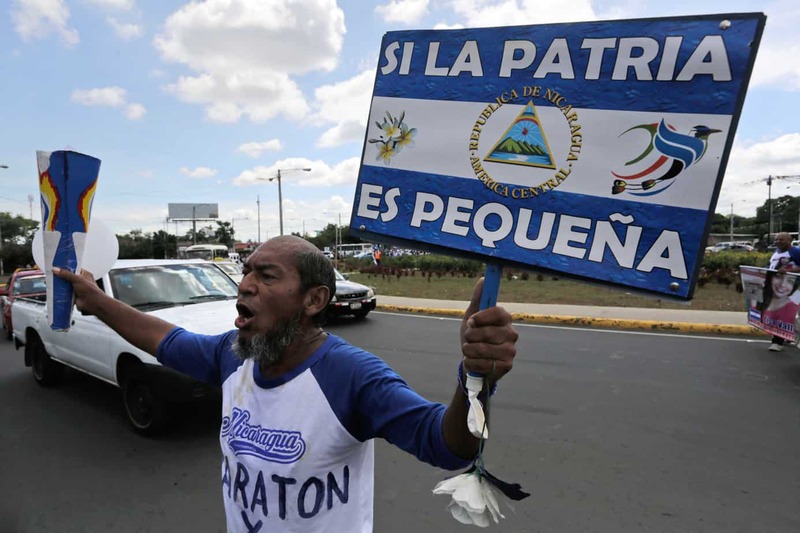 Popularly known as “the marathon runner,” Vanegas ran holding signs which demanded the expulsion of Ortega from power or which remembered the victims of his oppression. He was temporarily imprisoned at least five times and was “outraged” by this, he once told the AFP, before his prolonged arrest that began Nov. 2. After being freed in February and placed house arrest, he was briefly detained at least twice more for going out into the streets to protest while running. Former prisoners are unable to go out into the streets, to work, to go to the doctor or to have a social life, and are regularly watched and harassed by the police or neighbors who belong to the party of the government, said ex-prisoners who spoke to AFP. Faced with this situation, Vanegas decided to flee to Costa Rica, where there are already more than 50,000 Nicaraguans who have escaped the oppression following the protests that broke out last April. The protests ended in October due to a law that punishes protests with up to 20 years in prison. During his youth, the marathon runner supported the fight against the government of Somoza, which was overthrown with the revolution in 1979. That was led by the Sandinista National Liberation Front, which is still in power today. The violence of the protests against Ortega, who has been in charge for 12 years, left at least 325 dead and more than 700 arrested, according to humanitarian groups. It also caused significant damage to the economy.